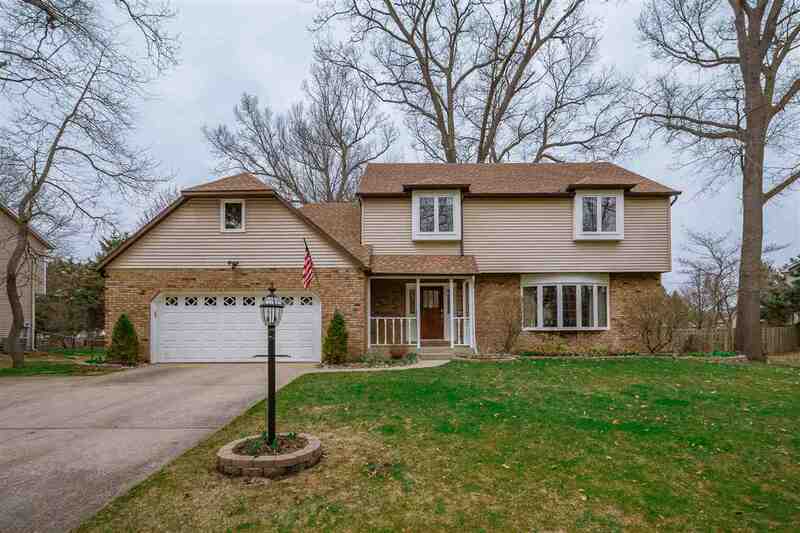 Meticulously maintained home in Prairie Lane Estates, Horizon, Discovery, Penn Schools. This 4-bedroom, 2.5-bath home is across from the neighborhood park, complete with playground, pavilion, and tennis courts. The main level has gorgeous newer hardwood flooring, and a new kitchen renovated in 2013. The kitchen features 20-inch porcelain tile flooring, granite counters, travertine tile backsplash, and high-end stainless steel appliances. The well-tended yard and landscaping offers privacy and different colors for the seasons. The large shed and attic with flooring and pull-down stairs means plenty of extra storage space. This home offers loads of space for the price!